In addition to providing residential condominium property management, Towers Realty is proud to offer professional commercial property management services throughout Manitoba and Saskatchewan. We specialize in the operation, regulation, and oversight of commercial real estate in Winnipeg and alleviate the stress that is inherent in property ownership. At Towers Realty, we efficiently and effectively manage your Winnipeg commercial real estate for you, so that you can sit back and collect your rent cheque in the mail. We relieve you of the most stressful and time-consuming aspects of commercial property ownership. Instead of meeting with your renters or lawyers, take that spa or golf weekend you’ve always talked about! Most property owners realize the costs of losing a tenant – not only is there a lot of paperwork involved, but losing a tenant also means that your space will become unoccupied for a period of time. If your space remains unoccupied for an extended period of time, it could result in a substantial loss of revenue. 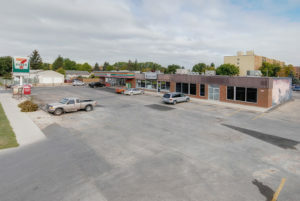 At Towers Realty, we specialize in maximizing the occupancy of commercial properties for lease in Winnipeg. Our award-winning branding and marketing solutions ensure that your commercial space has a high-occupancy rate, high cash flow and achieves an optimal return on your investment. When you invest with Towers Realty’s commercial property management, you invest in your own peace of mind. 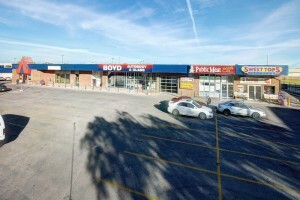 We ensure that all of our commercial properties for lease in Winnipeg are filled with satisfied occupants. We build relationships with our investors, clients, and tenants that are founded upon trust and respect in order to achieve a high-level of mutual satisfaction. Have you been attempting to find the perfect office space for rent, but couldn’t find a space within your budget? Have you struggled without guidance to acquire a commercial lease? Winnipeg is home to a vast expanse of attractive and available commercial real estate, but at times it can seem impossible to find a space- especially if you are simultaneously attempting to manage your business. As a Winnipeg commercial real estate company, Towers Realty gets unprecedented access to the most desirable commercial spaces. 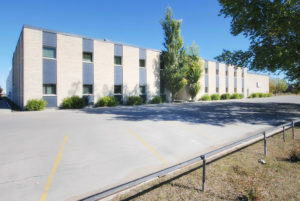 Our experience managing commercial properties for lease in Winnipeg allows us to connect you with an industrial, retail, or commercial property that matches both your vision and your budget. The benefits to successful real estate development are clear, but developing your own commercial space is often a risky and stressful endeavor. Many independent businesses attempt to develop their own commercial building without any knowledge or experience. Without the proper planning and market research, your hopeful investment could quickly turn into a sour loss. Visit our development services page to learn more. One of our commercial developments is McCreary Business Park. McCreary Business Park is conveniently located by the Trans-Canada Highway and major truck transport routes. Towers Realty Group built the property to feature high ceilings and large spaces between the structure’s support columns. Visit our featured developments page to learn more about our exciting developments! At Towers Realty, we are honoured to receive numerous awards of excellence for our residential and commercial properties for lease in Winnipeg. We humbly acknowledge accolades for our advertising expertise, renovation, innovation, and environmentally-friendliness awarded by the PPMA and the Better Business Bureau. Visit our awards page to see a complete list of our accolades. You’re searching for an office space for rent in Winnipeg, but you don’t know what type of space you’re looking for. Should your commercial building be in the industrial or financial district of the city? Are you looking for an open-concept space with high-ceilings or a more private establishment? At Towers Realty, we allow you to preview commercial properties for lease in Winnipeg right here on our website! Our preview tool comprises of pictures and detailed specifications that will help you to envision your new space without ever having to leave your desk. Simply grab yourself a coffee and start browsing the most desirable commercial properties for lease in Winnipeg. At Towers Realty, we are dedicated to making your life easier – whether it’s finding the perfect opportunity to grow your business or providing property management assistance. If you have any inquiries about a commercial space or about any of the services we provide, don’t hesitate to give us a call at 204.956.2739 or send us an email!